1991 , 32.88 BAYLINER. 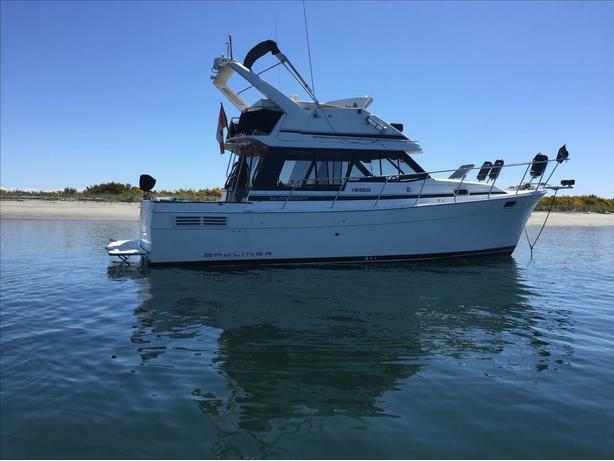 One of the most sought after Pacific Northwest cruising yachts. Twin 150 hino diesels ,excellent ground tackle,full fly bridge enclosure,rear sloper cover for cockpit, night cover for bridge, and window covers. Bimini, espar diesel furnace, horizontal blinds, nobeltec, radar and surround sound. Freshly hauled and zinced and polished July 2017. All new oil and filters done July 2017. Load it and go! $57,000 can. Would consider partial trade for a 24.6 or 26.6 bayliner discovery.